From Goodreads: [close] Quentin Jacobsen has spent a lifetime loving the magnificently adventurous Margo Roth Spiegelman from afar. So when she cracks open a window and climbs back into his life--dressed like a ninja and summoning him for an ingenious campaign of revenge--he follows. From Goodreads: Everyone thinks their parents are embarrassing, but Hannah knows she's got them all beat. Her dad made a fortune showing pretty girls--and his "party" lifestyle--all over the Internet, and her mom, who was once one of her dad's girlfriends, is now the star of her own website. After getting the wrong kind of attention for far too long, Hannah has learned how to stay out of sight...and that's how she likes it. North of Beautiful by Justina Chen Headley From Goodreads: Born with a port-wine stain birthmark covering her entire right cheek, Terra Rose Cooper is ready to leave her stifling, small Washington town where everyone knows her for her face. With her critical, reproachful father and an obese mother who turns to food to deflect her father's verbal attacks, home life for Terra isn't so great either. Fueled by her artistic desires, she plans to escape to an East Coast college, thinking this is her true path. When her father intercepts her acceptance letter, Terra is pushed off-course, and she is forced to confront her deepest insecurities. After an ironically fortuitous car accident, Terra meets Jacob, a handsome but odd goth Chinese boy who was adopted from China as a toddler. Jacob immediately understands Terra's battle with feeling different. When Terra's older brother invites her and her mother to visit him in Shanghai, Jacob and his mother also join them on their journey, where they all not only confront the truth about themselves, but also realize their own true beauty. North of Beautiful is the engaging third YA novel by Justina Chen Headley. This is a gorgeously-written, compelling book featuring universal themes of defining true beauty, family bonds, personal strength, and love. From Amazon: Lia and Cassie are best friends, wintergirls frozen in fragile bodies, competitors in a deadly contest to see who can be the thinnest. But then Cassie suffers the ultimate loss—her life—and Lia is left behind, haunted by her friend’s memory and feeling guilty for not being able to help save her. In her most powerfully moving novel since Speak, awardwinning author Laurie Halse Anderson explores Lia’s struggle, her painful path to recovery, and her desperate attempts to hold on to the most important thing of all—hope. From Goodreads: In the wake of her father’s death, Ash is left at the mercy of her cruel stepmother. Consumed with grief, her only joy comes by the light of the dying hearth fire, re-reading the fairy tales her mother once told her. In her dreams, someday the fairies will steal her away, as they are said to do. When she meets the dark and dangerous fairy Sidhean, she believes that her wish may be granted. 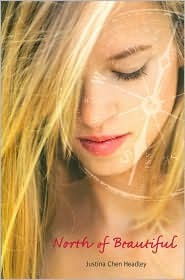 From Amazon: Lucy has nine months to break an ancient curse in order to save both herself and her unborn daughter. From Goodreads: [close] Newly turned vampire Kira has earned a reputation for breaking the rules. So when a student is murdered at her high school, via fang-bite, all fingers point to Kira. But she swears she had nothing to do with it! In order to prove her innocence she has to show her family that there’s another vampire in town. She’s pretty sure it’s one of three new guys who’ve moved in recently—so she goes about dating them all. Dating three cute boys may be fun, but which one is the murdering vampire? And what if he’s the boy she’s falling for...? How do you all do this week? I've wanted to read Ash for a while now. 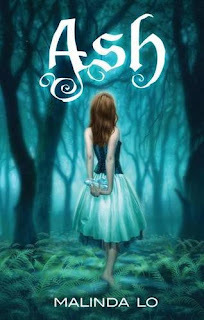 I love the UK cover for Ash, it's so so pretty!! And you got Paper Towns YAY can't wait to read that one, I seriously love John Green. 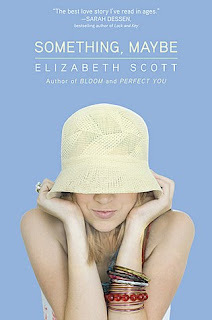 I am loving Elizabeth Scott at the moment, so glad you enjoyed Something, Maybe. 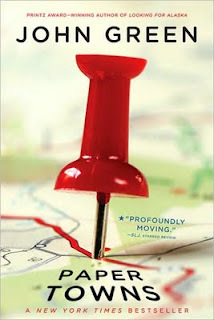 John Green is amazing, so I hope you really enjoy Paper Towns. The other books look great and I hope you enjoy them all. 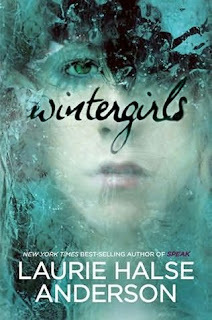 Massive yay for WINTERGIRLS, that's hands down one of the best books I've ever read! I also want to read North of Beautiful! Lovely books and I hope you enjoy them! Wintergirls is so amazing! It was one of the best books I read last year - hope you enjoy it. Ohman, I've never seen that cover of Ash, but it is beautiful! I want to read all of the books you got this week! Wow, you have so many exciting books this week. I don't know which to comment on. I think North of Beautiful. 1) Did you notice that it is Selina Penaluna on the cover? 2) It sounds amazing. Looking forward to hearing what you think! Enjoy! Wow, great haul! I'm jealous of Something, Maybe, Wintergirls, Ash, and Never Bite a Boy on the First Date! 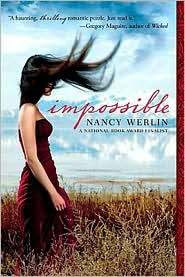 I have Impossible sitting on my TBR pile, and I also received Paper Towns this week. Happy reading and I look forward to your reviews! Oh! Fantastic books! Did Ash get a new cover? I like it! Oh wow I love that cover of Ash! Very pretty. Enjoy - I loved Paper Towns. So many great books! I'm really looking forward to your review of Wintergirls. Paper Towns sounds good. Wow, I've never see nthat ocver of Ash before! I really enjoyed that book. Happy reading. I've read Wintergirls, North Of Beautiful, and Something Maybe all of which were great books. I LOVE WINTERGIRLS so much I can't even express it coherently, haha. Hope you enjoy all those books! 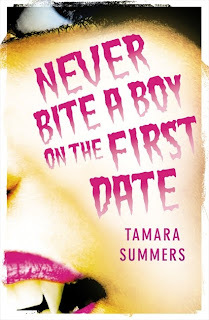 Paper Towns is brilliant and Never Bite a Boy on the First Date sounds excellent too. Hope you enjoy them all! I've heard a lot about paper towns! Enjoy! I think it's great that you have North of Beautiful, Winter Girls, and Ash in one week! I'm so jealous!! I think I might have Paper Towns on my ARC stack somewhere.... some of the others look brilliant too :) Nice fairy tale twists.